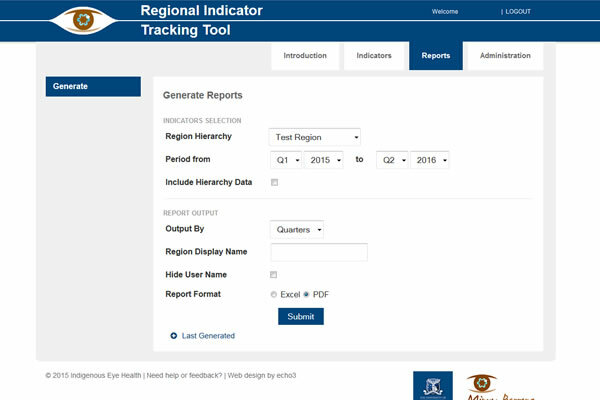 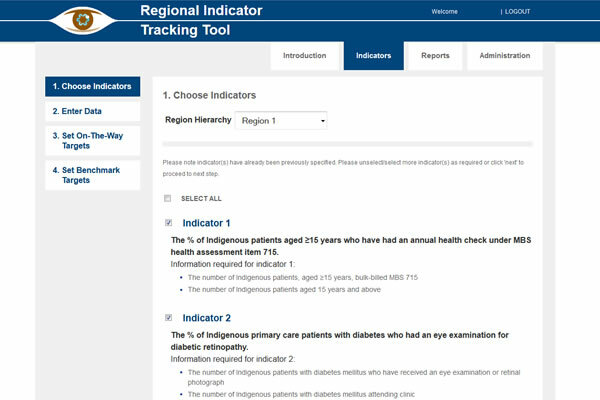 We have created an online regional indicator tracking tool for the Indigenous Eye Health Unit. 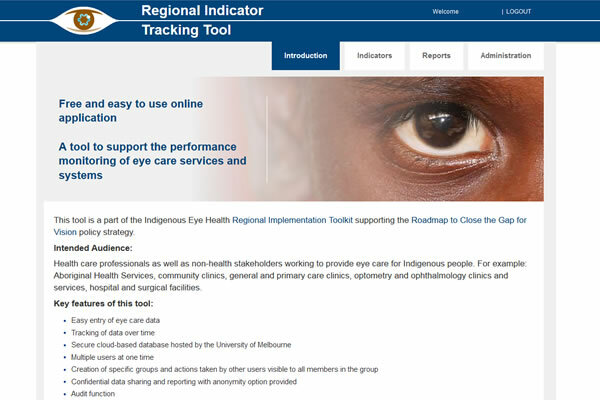 It is a free and easy to use online application tool to support the performance monitoring of eye care services and systems. 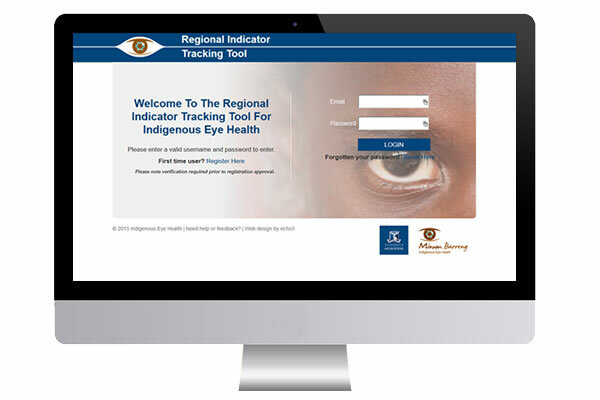 It designed for use by health-care professionals and non-health stakeholders working to provide eye care for Indigenous people. 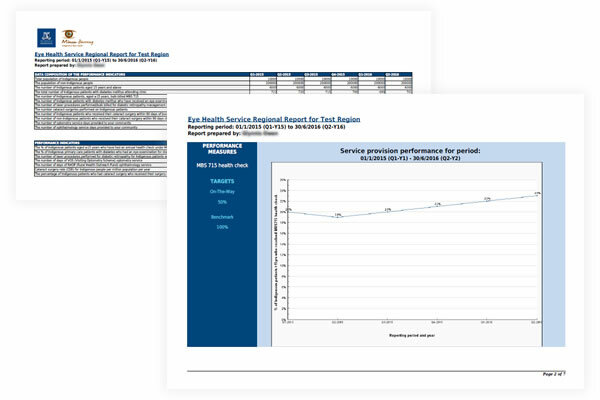 It also includes an extensive reporting module that will generate reports with charts in both excel and pdf formats.